If you have been tracking for a couple of weeks you will notice that it goes up and down, week to week. Fluctuations when trying to lose weight are very common and can be very frustrating. It’s safe to say that weight changes from day to day can be very inconsistent and are usually just temporary These fluctuations do not mean you are not making any progress. Here are some reasons why your weight fluctuates so much. its 100% true that staying hydrated will help you lose weight, but if you never really drank water and have started training and now are drinking more water you will find your body is better hydrated which will mean an increase in your weight. When you measure your weight, it is a measure of everything that’s in your body e.g. bones, organs, muscles, fluid and waste. All of the above make up your total body weight, so when you’re dehydrated you actually weigh less but that does not mean necessarily mean you are healthier. To give you an example, say one day you don’t drink anything and the next day your weight goes down. On the following day you drink loads of wattle and then the day after your weights increases – this does not mean you have gained fat, it means your body was depleted of water the day before. Lifting weights and exercise will speed up your training in the long run but in the short term it may increase your weight (appearing higher) because intense training causes inflammation. When you are in the gym, training can cause little micro tears in your muscle fibres, but when these fibres build back up they change their shape, tone and add muscle. Your body also takes on more water to help repair the muscle, this cumulation will cause your scale weight to be higher. Sodium can have a really big impact as it proven that certain foods can have a significant impact on your weight. Although the impacts are temporary, they may show an increase in your scale weight. Packaged foods and processed foods usually contain higher sodium content than fresh foods. You will usually find you feel quite bloated after consuming such foods – this is only temporary and usually goes away within a day or two. You can avoid this by sticking to wholes foods and using herbs and spices to season your meals instead of salt. Carbs are always looked on as the enemy of weight loss however this is not true. The key here is everything in moderation. Eating excessive amounts will cause you to gain weight but again this will also be a combination of water showing up in the scale weight. You will find when people go on a low carb diet, they lose weight straight away – this is known as carbohydrate depletion. Your body can’t hold excess water, so you will find people that have a high carb intake one day, compared to a low the next day, they will lose weight and gain weight fast. You must remember, this is only scale weight. If you are constipated or have irregular bowel movements this will be reflected on your scale weigh. If you track using Inbody or Accuniq Body Composition Monitoring, these will usually show up as fat. For consistency, it is recommended that enough fibre and water is consumed to help assist in creating a regular bowel schedule. A female’s weight loss will be affected by the menstrual cycle, but some females get very shocked about how much weight they can actually gain. On average, you may gain around 5 pounds, 5 to 6 days prior. This is primarily due to water retention and it is not something to panic about. The weight increase will drop back once your cycle is over. Weekends are usually the killer when it comes to weight loss. You will find most of your weight loss takes place Monday to Friday and over the weekend you actually put on weight. You will find Friday morning will be your lightest weight point and Monday morning being your highest weight point. You have to understand even though scale weight may be going up and down overall (over time) your weight will change. Yesterday’s weight can affect today’s weight and this can be down to mental attitude and some element of science. There is no set way to do this and you tend to find if a person’s weight goes up, they feel like they have failed and eat less and exercise more. The same sometimes occurs when they are doing very well. Ideally you have to behave the same every day to see real progress over time. 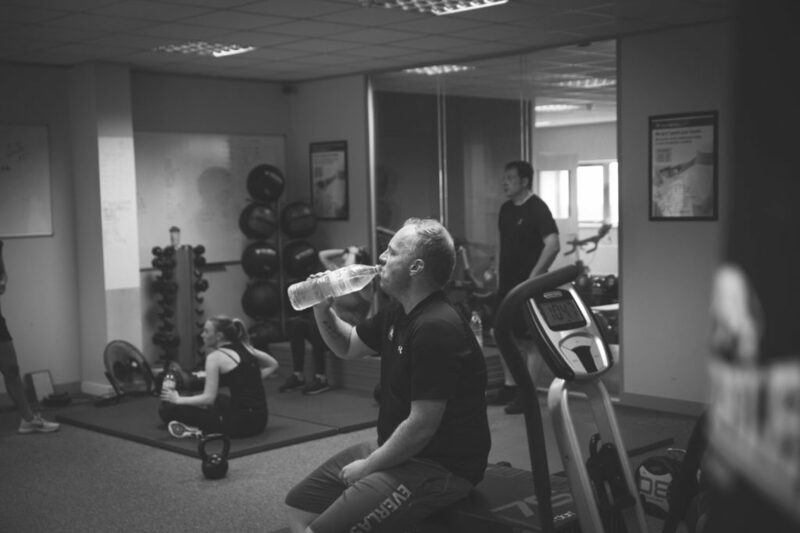 It may be worth using other methods of tracking such as measurements, progress pictures and state of the art body composition scanning (we operate InBody at RS Fitness Gym in Glasgow). This is one of the many ways you can clearly track your progress and find a week to week balance.